loodie loodie loodie: Nail Hardeners: Are formaldehyde based hardeners right for you? I received an email recently from Cristina (from the MUA nail boards) that made me realize I needed to add some information to the Formaldehyde based Nail Hardener post. Check that one out first if you haven't already. The concern in this email was about the safety of formaldehyde based hardeners as well as whether it was the right hardener to use. Usually the amount of formaldehyde in these types of hardeners is 1-3% and they are ALL safe at this level. The only safety issue that I can foresee is allergy related, but at these low concentrations this is usually not a problem. It's a good idea, however, to avoid skin contact to prevent irritation. If you are allergic, so be it and avoid it altogether, before anaphylactic shock sets in ... yikes. Since these hardeners are relatively safe, I think the next main concern is whether your nail condition needs this type of nail hardener. Each person considering a nail hardener needs to evaluate the condition of their nails at the moment. Are your nails soft or hard? Thin or thick? Peeling or cracking? Once you know where you stand you can decide if "formaldehyde based" is suitable for you. What do I mean by soft or hard? What? You don't have blue fingers? hee hee, I just realized the blue after I made it and it took forever so you'll just have to accept it. Anyway, let's pretend this is a normal nail at rest. If you can push down on your nails free edge and it bends easily without much resistance, like the green, they are probably soft. If they provide some resistance, like the red, they are hard. Of course you can have some variability and call it something in between. This is just a guide. What do I mean by thin or thick? Pretty self explanatory, I hope. What do I mean by peeling or cracking? I couldn't find a good picture of cracking so this schematic will also have to do. I hate cracks that happened horizontally below the free edge, big ouch. I will put a link here soon, about my preferred method of fixing such a catastrophe. Formaldehyde based hardeners are best for soft, peeling thin nails. Your nail plate is made up of a protein called keratin. Keratin is fibrous and has naturally occurring cross linkages between the filaments. 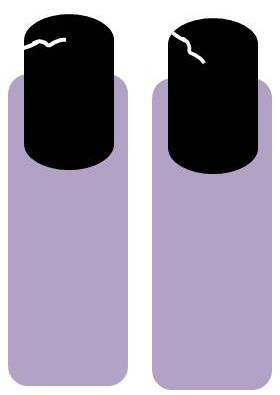 Formaldehyde reacts with the keratin in your nail plate and increases the cross linkages between these fibers. As a result, the nail plate becomes harder. These linkages prevent peeling by linking more of the nail plate layers together and makes the nail plate thicker (imagine how thicker those nails in that picture above would be if the nail plate was all fused together and not sloughing off). There is nothing wrong with formaldehyde based hardeners, as I have already mentioned in the last post, but too many cross links in the keratin causes nail plate brittleness. Some brands have higher concentrations of formaldehyde than others (usually these are trade secrets) and overuse can cause brittleness; therefore, I generally suggest intermittent use of these types of treatments. That way you can get the desired hardness, then back off so the nail doesn't get too brittle. If your nails are cracking this could be a sign that your nails are already hard (with plenty of cross linkages in the keratin) but lack flexibility. A formaldehyde based hardener may not be a good idea. Instead, a good moisturizer (oil/balms/butter/cuticle creams) needs to be used frequently throughout the day. A different type of treatment should probably be considered if moisturizing alone doesn't do the trick. More on that in a later post. If you have thick nails I give you a high five. Nothing wrong with that, except make sure its not some underlying fungus condition. Otherwise, the only down side is more work filing. If another combination describes your nails condition, for example: soft and dry (I would imagine this on thin problem nails), then another treatment or combination of treatments may be right for you. I will cover this in greater detail as I go through the different treatments in the series. A few final words. Whichever treatment you choose, keep in mind that they all takes time to see results. The damaged nail plate has to grow out and the new treated nail plate will eventually surface. 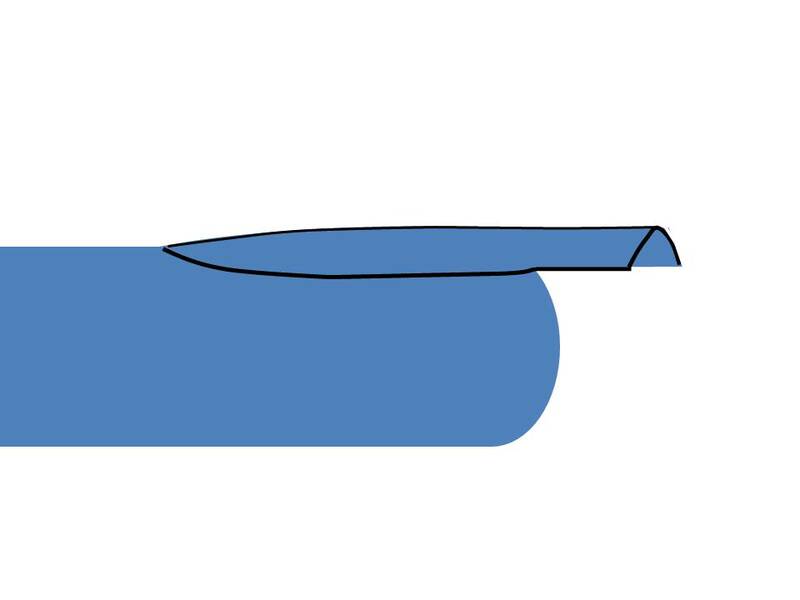 The nail plate may take a full six months to grow out from the cuticle to the nail tip. I hope this addition is helpful to the series. Edit: There is a difference between formaldehyde and formaldehyde resin. That post can be found here. Are Formaldehyde Hardeners right for you? Great post!!! My nails are hard in pretty good shape but boy when they break talk about OUCH! Lol! :( I think I have the soft, peely nails. rmcandlelight - what is your preferred method of fixing a break like that? Rachel Marie - Are your nails dry? A little bit drier lately. But not usually. You could try a formaldehyde based treatment that contains moisturizers. MAVALA has one called Scientifique Nail Hardener. I would have to do more searching to suggest more brand names. That was the first one I came across during a quick search. If you don't want formaldehyde based there are other option, ie, protein based, fluoride based, and nail conditioners (like I listed in the first nail hardener post). I will go over them as part of my series. What do you use now as a treatment or base? Someone informed me that MAVALA is a swiss made product and as such has a much higher amount of formaldehyde. In that case I would suggest formaldehyde + proteins + moisturizers. Check out Nail Tek Hydration Therapy or OPI Nail Envy. Thanks for another wonderfully informative post! 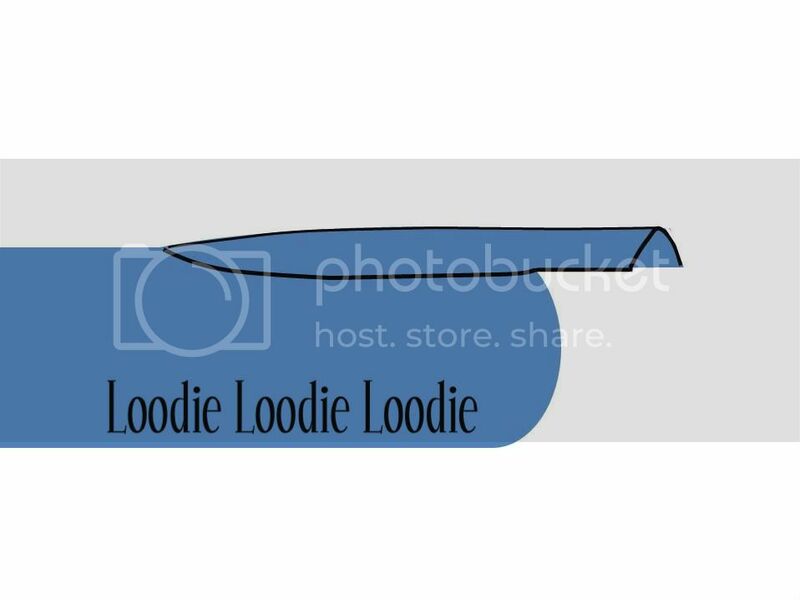 Hey loodie! My nails have been peely more recently. I think It's because I've had to trim them instead of filing them like I usually do. I have to keep my nails super short for work. Now on to Nail Tek. Overall, I think it's a great product! However, in general my rule of thumb on formaldehyde containing products (although NT IT II actually has formaldehyde + moisture + protein and I will include it in my next hardener post :) )should be used to achieved a desired level hardness then may need to be tapered off to prevent over hardening and peeling. It may or may not be what you need depending on your current nail condition. Is your nail more on the soft or hard side right now? Are they more dry right now? My intuition says its the trimming and weather and that your nails may not need the treatment just yet. Try to increase the frequency of moisturizing (oil + a wax based butter or lotion to seal in that grease!) and seal the nail plate after any filing or trimming. Hope that helps :)! I put on a layer of Nail Tek last night and I can honestly say it made a HUGE difference! They don't feel as soft and peelies are kept under wraps. Since I spend my work days with my hands in water and product, I think I just needed to protect my nails better. Any advice on tapering off the Nail tek? Its hard to say when to taper because I don't really know the concentration of formaldehyde in that specific product and everyone's nails are different, BUT I could give you some guide lines. Once you reach a level of hardness that you are happy with, you could try two weeks on two weeks off, but keep them well protected with something like Gelous or IA on the off weeks. Then the question is what is a good level of hardness? The goal is to balance hardness with flexibility, which gives your nail strength. The only way I can describe it is if you push on the tip it should have some give, but definitely more resistance. Another good indicator is when your nail does not have polish on it, it should look fairly well hydrated (not taking into account the drying affects of acetone). Can I just say you are an abyss of nail knowledge and I love that! 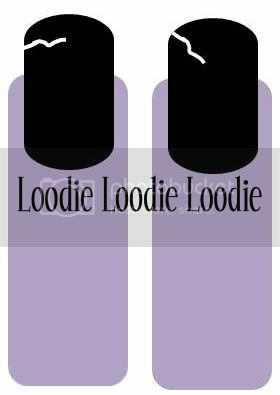 Hey Loodie, What do you suggest for nails that split, formaldehyde based or formaldehyde free? My nails are soft and two of them (one on each hand) tend to split. Great post but sadly Im still unsure what to use, I have hard but peeling nails which therefore end up breaking since they get so thin. But they only peel on my thumb & index fingers (on both hands) and only since i've been painting my nails for past 2 years. 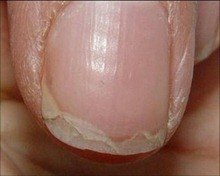 If your nails are already hard and still peeling it could be that they are just dry. Moisturize the HELL (excuse me for yelling lol) out of your nails at least 3 times during the day. Wear gloves when doing dishes and other activities that involve prolonged water exposure. Also avoid using your nails as tools. Try not to pick at things using your index and thumbs to do "jobs". This is notorious for making nail layers separate and peel. Check out my post on nail treatments "with moisturizers" for recommendations on base coats, etc. I'm so glad I came across your blog; as someone else has already said you give a lot of technical information but it's really easy to understand, so thank you for sharing your knowledge with your skill of writing. I’m trying to research to find a nail hardener to suit me. I have thin, weak, bendy nails that don’t peel or chip but can tear easily (I guess because they are so thin). Nail polish, gel nails and acrylics never seem to stay on my fingers; they always peel/ lift off within 24-48hrs. I’ve tried Mavala Scientifique Nail Hardener in the past with FANTASTIC results but a friend freaked me out a bit with the whole “formaldehyde causes cancer” rant. After reading your posts I’m very tempted to give Mavala another go but atm I’m pregnant so hesitant to use a formaldehyde based hardener. Btw, my nails were strong and gorgeous (for the first time ever) when pregnant the first time but don’t seem to be as strong this time round. I don’t seem to be able to find an ingredients listing anywhere. Since your nails are super bendy it's no wonder Mavala worked. Just to be super safe, since you are preggo, just wait till you pop that baby out before you use it again. Do your own research on the whole formaldehyde business though. People rant sometimes from hear say; learn the difference between formaldehyde, formalin and alike from different source to get a well rounded idea on the topic. I am not surprised nothing stays on your nails because they are softer than the (harder) product on top. The product will just chip/peel off. I am not sure what the difference is between, ProStrong ProAdvanced Fluoride Nail Strengthening Pen vs. ProStrong ProAdvanced Strengthening Nail Pen with Fluoride. Inconsistent naming by QVC and Prostrong? Not sure. Try to contact QVC. When you say "formaldehyde"... do you mean tosylamide/formaldehyde resin (a chemical compound made with formaldehyde as an ingredient), or do you mean formaldehyde (a gas at room temperature)? I have become obsessed with my nails over the past month. I had been an avid gel girl and wore gel nails for years. A month ago I decided to take the gels off and let my nails breathe, to my dismay my nails were so badly damaged from wearing the gels non-stop for years, they are brittle, dry, cracked, peeling you name it my nails are it...which makes me so very sad I am a girl and have NO NAILS and never could grow nails without the help of gels!!!!! Reading the many blogs from women who post about their nail polish obsessions and tips for perfect mani's I stumbled on your blog and "WOW" I am so amazed at what I have been reading. There is so much that I don't know and so much I have yet to learn. I have purchased so many different products to aid in getting my nails healthy and strong. I have been keeping my nails and cuticles moisturized. I do know it is gonna take longer than a month for them to get to a state where they will stop cracking, splitting and peeling. What do you reccommend that I use to at least stop the problems I am having? Any advise is greatly appreciated. Thanks and I love your blog you are so very informative. I look forward to your many more blogs to come! I wish I had come across your blog a year ago I would have long and healthy nails now!! I have a question. My nails crack as soon as you are able to see the free edge. It only gets to 2 to 3 mm long before my nail break. You said that nails that crack shouldn't use formaldehyde because they lack flexibility, but my nails are flexible, thin and weak. What type of product will you suggest? My nails are not that soft, but neither too hard. They are pretty thin, but they dont split or pill. I keep them short for now, but they can grow longer, but for like 2 weeks, afterwards one cracks and so I'm forced to cut all of them and then once again I start growing them and so on. The thing that is most torturing me is that they have vertical ridges and I dont know why!!! And the skin around the nail is not that soft and nice. What do you advice me? Hi Loodie, I have very soft nails that bend and break easily. In my desperation I purchased my own formaldehyde (37%). I need to know can I make my own nail formula with this and how much can I use in my nail hardener without it having an adverse effect on me.